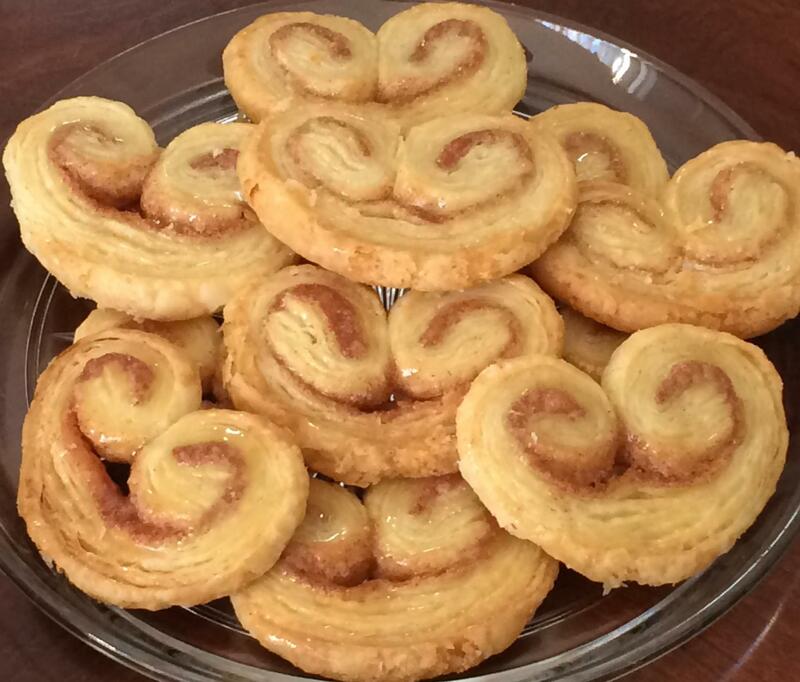 If you’re like me, you read the title of this recipe and said, “What?” Palmiers (pronounced pall-me-yays) are French pastry cookies. 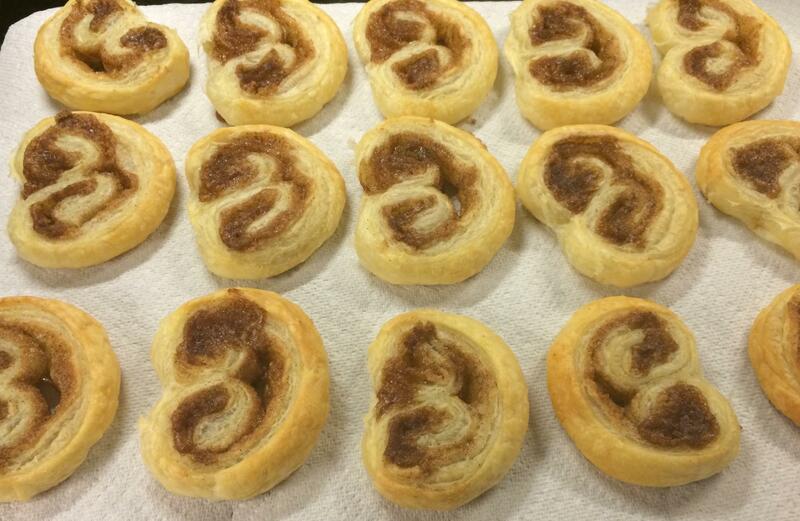 I had never seen them or even heard of them before our first baking class in culinary school, and had the chance to make these in class one night. After class was over and we were all cleaning up, I finished my cleaning duty, went back into the classroom to get my container to fill up with the cookies, and walked back into the kitchen…only to find that they had literally been wiped out. Completely. So, I decided to make them again the following weekend at my parents’ house. And honestly, it was a good thing that I got some pictures of them when I did, because they were wiped out a second time. One batch was brushed with a honey glaze, while the other batch was drizzled with a vanilla glaze. 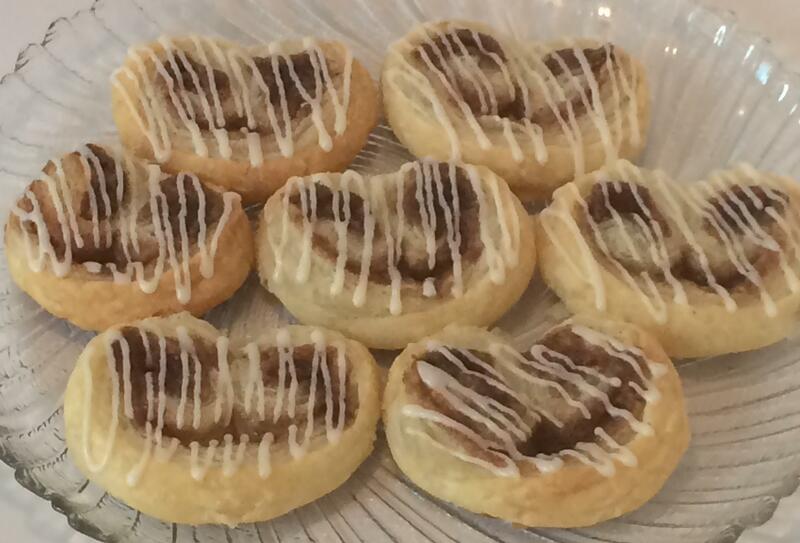 Both were amazing, but in all honesty, these little guys remind me of cinnamon rolls. The first two times I made these, the puff pastry was from scratch, but I also wanted to use the frozen puff pastry dough you can buy at the grocery store to see how that turned out. It was definitely a shortcut version and it was much easier and quicker, but like most things that are made from scratch, they were a little bit better…but I’ll be honest, it was a lot more convenient with just whipping the frozen puff pastry dough out on the counter to thaw out before diving in to the process. 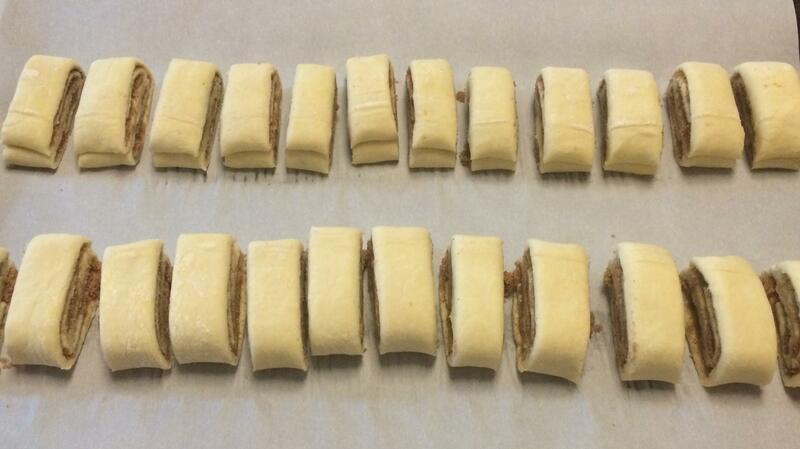 First, roll out your puff pastry dough. 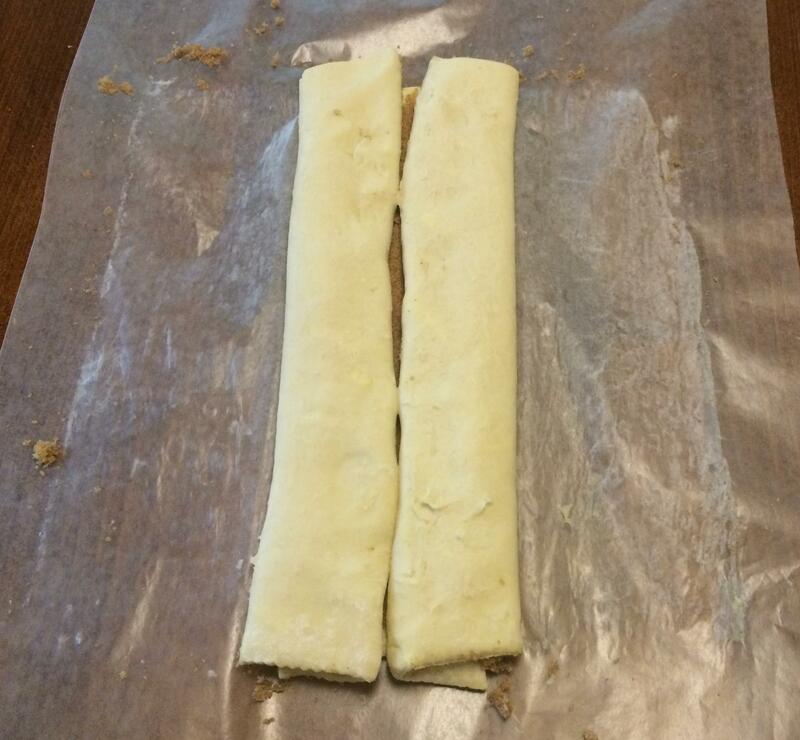 If you’re using frozen puff pastry dough, let thaw at room temperature until soft and ready to work with. 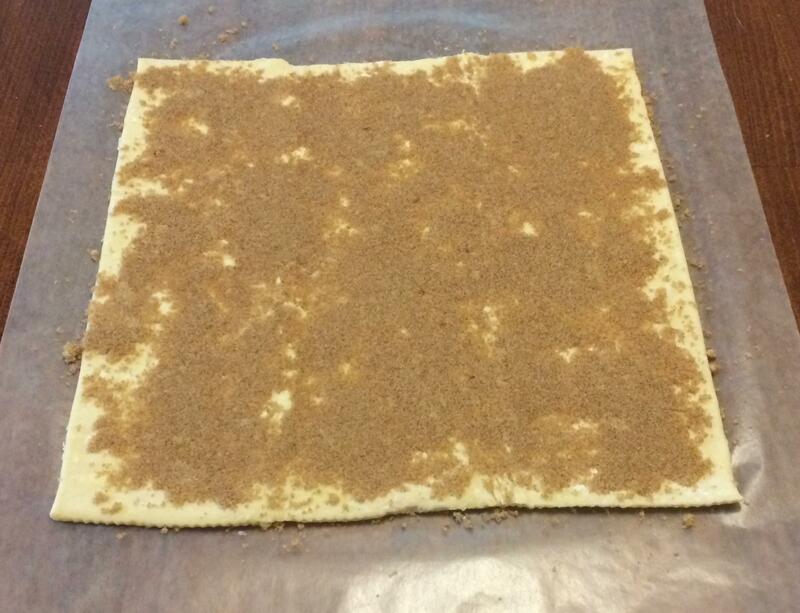 Sprinkle the puff pastry with the brown sugar/cinnamon mixture, then roll the mixture into the dough with a rolling pin (this helps to keep it from falling out as much). 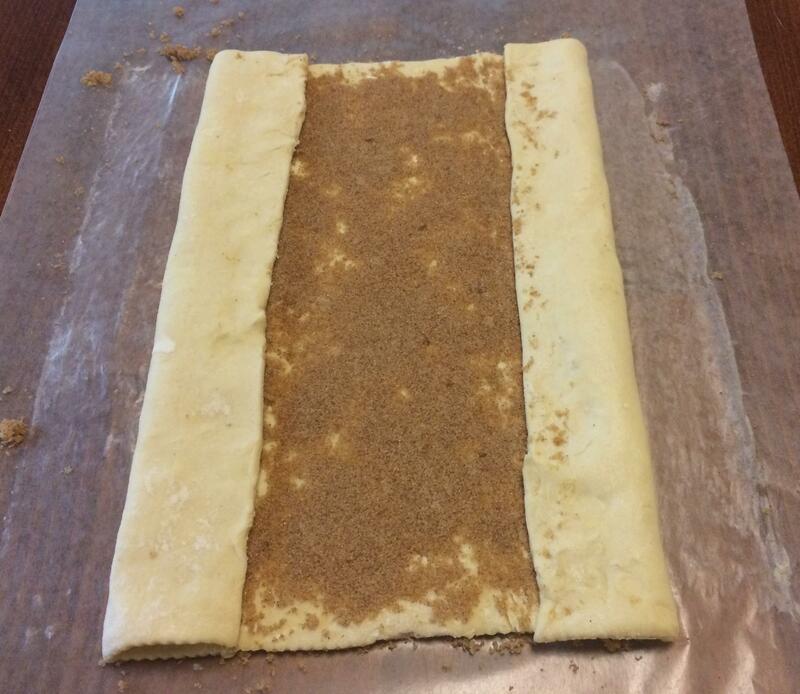 For one sheet of pastry dough, mix 1/4 cup packed light brown sugar with 1 teaspoon cinnamon. Double the amount for using two sheets of dough. Fold in one more time on each side. 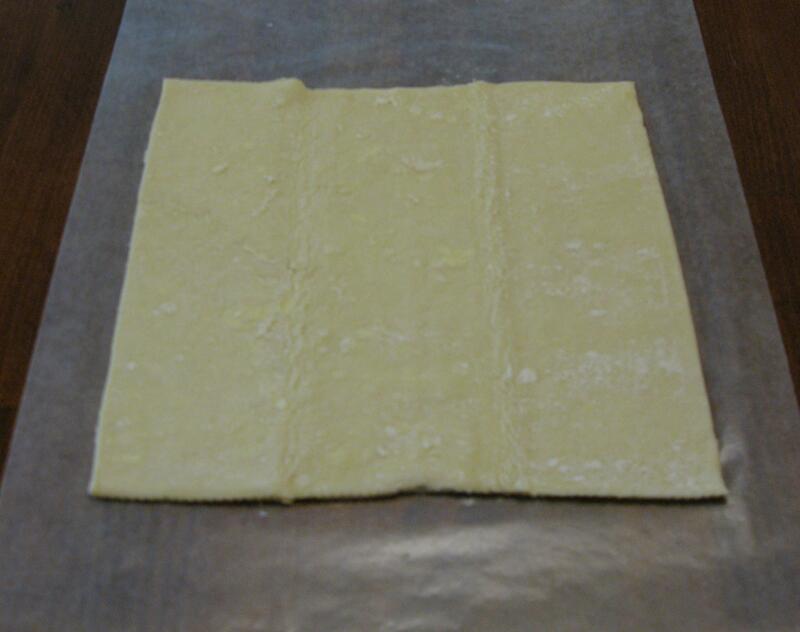 Fold over, and roll with a rolling pin to secure the dough together. Chill in fridge for about an hour for dough to set. 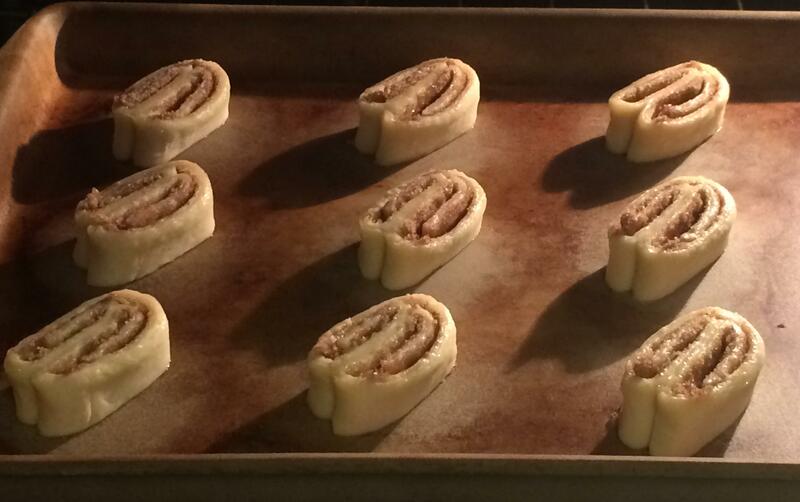 Cut into approximately 1/2-3/4 inch thick pieces. Lay flat on baking sheet (I normally use a baking stone), then bake at 400 degrees for 8-12 minutes, or until a light golden color. Once finished, brush with honey glaze or drizzle with vanilla glaze. Mix two ingredients together, brush on tops of cookies. Mix all ingredients together until desired consistency, slightly runny. Spoon into cake decorating bag (or ziplock bag), snip the tip off the bag, drizzle over cookies. Cut butter into flour and salt using hands, or in a standing mixer. Once mixture resembles cornmeal, add cold water and continue to knead until dough is formed. Wrap in plastic wrap, set in fridge for at least 30 minutes. 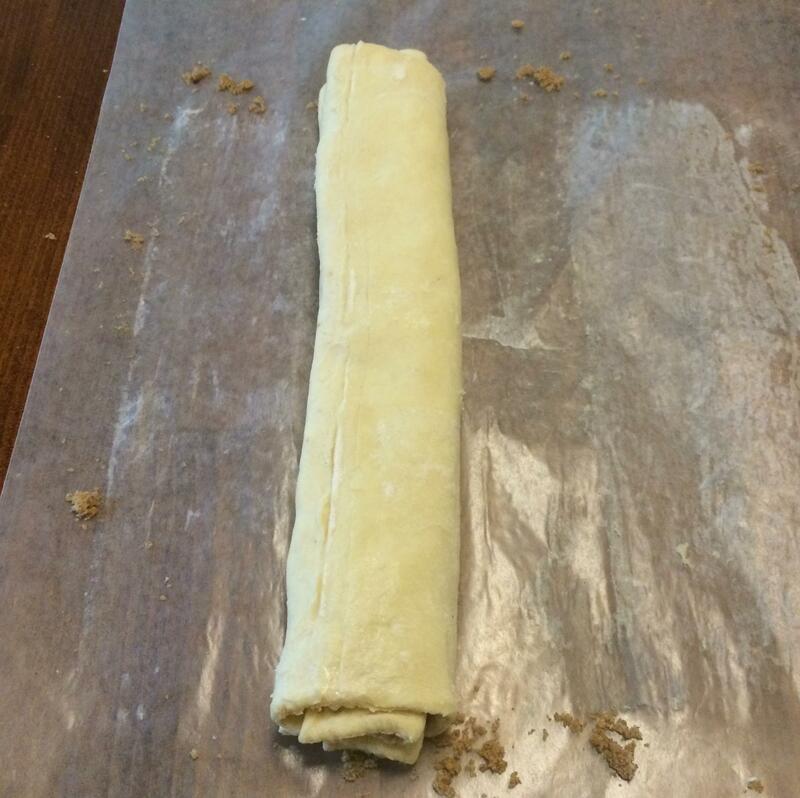 When rolling out, flour your work surface and add flour to your rolling pin. Roll out into a rectangle that is at least 7 inches wide and no more than 1/4 inch thick. Trim edges if necessary for clean lines.